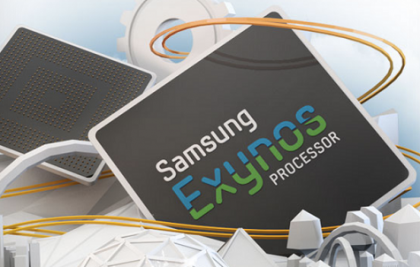 Samsung has released the Exynos 5 Dual, a dual-core 1.7GHz mobile CPU based on ARM Cortex-A15 architecture. Samsung’s new processor will be significantly better than Exynos 4 Quad processor that powers its flagship Galaxy S III. The chip, as its name implies, includes a ARM Cortex A15-based dual-core processor clocked at 1.7GHz with a quad-core Mali-T604 GPU. It will offer resolutions up to WQXGA (2560×1600), DirectX 11 (hello, gaming! ), OpenGL ES 3.0, Wi-Fi, displays, USB 3.0 and much more. There’s no word on which device will be the recipient of the Exynos 5 Dual, but with a max output resolution of 2560×1600 it will most likely be tablet. hat’s slightly higher than Apple’s celebrated 2048 x 1536 Retina display on the new iPad. More than a year ago, Samsung showed off a 10.1-inch 2560×1600 LCD panel but, it hasn’t been heard of since. A Galaxy Tab 10.1 with at least an equivalent Retina display in time for Christmas would be quite exciting. This could also be the chip for the next Google Nexus smartphone, which should arrive before the end of the year. Additionally, ARM has previous said that Samsung will be the first to gets its hands on the Mali T-604, and in a conversation with ARM a couple of months ago, TechRadar noted that devices using the GPU could be out during the second half of 2012.